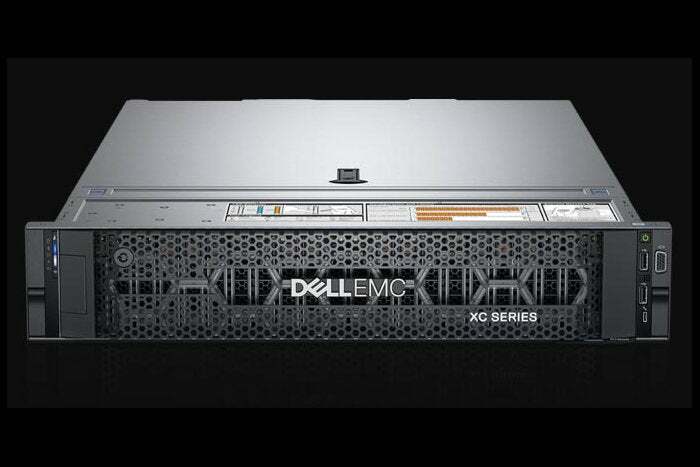 To accommodate the many hyperconverged infrastructure (HCI) applications, Dell EMC added two new hardware platforms to its XC family. At Nutanix's .NEXT user conference last week, the company certainly flexed its software muscles with a cornucopia of new products and a roadmap to becoming the next big enterprise platform vendor. To achieve this status, Nutanix has shifted to selling software and letting its customers run its stack on their preferred hardware platform. There is currently a wide range of hardware partners supporting Nutanix, including Lenovo, IBM, and HPE. However, the vendor that has done perhaps the best job at providing the widest range of options for Nutanix customers is Dell EMC. Some of the IT pros I have talked to about hyperconverged infrastructure (HCI) are under the common misconception that it’s the Nutnanix software stack that provides all the value and that the choice of hardware is somewhat irrelevant. While the Nutanix software is market leading, the hardware most certainly does matter. I would argue that a few years ago, when HCI was used primarily for VDI, the choice of hardware wasn’t as important, but today HCI is used for a wider range of applications, including Hadoop, Splunk, and Oracle. Many organizations plan to expand HCI platforms for almost every business workload. As this shift happens, IT professionals should pay particular attention to which hardware platform they use to ensure they’re not overspending on hardware or using a platform that doesn’t have the necessary horsepower to ensure the performance requirements are met. The Dell EMC XC940-24 is meant for workloads that require extremely high-performance infrastructure. It’s the first quad-processor appliance for Nutanix and can be loaded up with 6 TB of memory. Disk options are all flash, standard hard drives, or a mix of both. Maximum flash capacity is 60TB, which is more than enough for most high-performance workloads. The network can be configured with 10 or 25 Gig-E. Dell EMC designed this platform for memory-intensive workloads such as database, big data, and analytics. This type of product enables HCI workloads to boldly go where they could not before because of performance limitations. The Dell EMC XC640-4i appliance expands the HCI addressable market on the other end. This product is specifically designed for non-mission-critical workloads that are found outside the data center. The sweet spots for the XC640-4i are remote and branch offices, retail environments, or other places that need reliable edge computing. As IoT becomes more widely deployed, this product is ideal for fog computing. The product can be deployed in 1-, 2- and 3-node setups. The base compute platform is a 640 PowerEdge server that supports Xeon Gold and Silver CPUs. Like most other Dell EMC products, the XC640-4i can now be configured with flash, standard disk, or a mix. These new products are supported by Dell EMC's Life Cycle Management (LCM) facility for its XC systems. LCM automatically inventories and updates system BIOS and firmware. It operates in either in-band and out-of-band modes, and Dell EMC claims that the updates are done 70 percent faster than manual methods. I haven’t validated their claim, but the number seems reasonable. The benefit of LCM isn’t really the speed of updates. While that’s nice, the true value is the efficiency with which upgrades happen without disrupting cluster operations. Planned downtime and maintenance windows are shrinking to the point of being non-existent, making automated lifecycle management crucial to IT’s success. These two new platforms bring the XC family to 10, with options for almost any type of workload and environment. As the use of HCI expands, one size certainly does not fit all. It’s easy to say that software is eating the world and hardware is becoming a commodity. While the former is certainly true, the latter is not. Hardware matters, and success with HCI is tied to ensuring the best system choice is made.